The Mintos marketplace just got bigger as IuteCredit Group now offers personal loans for investment in FYR of Macedonia. This is in addition to IuteCredit’s personal loans issued in Albania, Moldova, and Kosovo already on the marketplace. IuteCredit Group is a leading consumer lender in the Balkan peninsula with 10 years track record, and operations in Moldova, Albania, FYR of Macedonia and Kosovo. As of September 2018 the Group has a net loan portfolio of EUR 37 million and has helped more than 200 000 customers. It aims to create the extraordinary experience in personal finance, by exceeding customer´s expectations. The average FYR of Macedonia-issued loan on Mintos from IuteCredit is EUR 300 with a repayment period of 11 months. The expected return for investors is up to 11%. To align its interests with those of the investors, IuteCredit will retain 10% of each loan placed on Mintos on its balance sheet. All FYR of Macedonia-issued loans from IuteCredit will come with a buyback guarantee and IuteCredit FYR of Macedonia will undertake the obligations of repurchasing delinquent loans. Additionally, the parent company IuteCredit Europe will provide a corporate guarantee thus securing the loan buyback obligation provided by the company. IuteCredit started its operations in FYR of Macedonia in September of 2017 and is regulated by the Ministry of Finance of FYR of Macedonia. It is currently one of the alternative finance market leaders in the country. Since its inception, more than 16 000 loans have been issued in FYR of Macedonia worth more than EUR 4.8 million. As at the end of September 2018 its net loan portfolio in the country is EUR 1.8 million. IuteCredit joined Mintos in June 2017 initially offering to invest in personal loans issued in Albania. To date, EUR 15 million has been financed through the marketplace. If you use Auto Invest and want to invest in IuteCredit loans from FYR of Macedonia, be sure to adjust your settings accordingly. 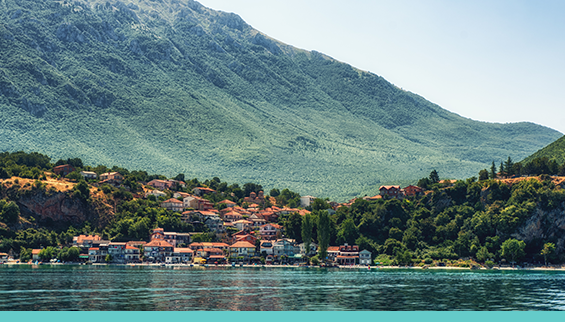 Enjoy this exciting new investment opportunity from FYR of Macedonia on Mintos!